World Health Day is commemorated each year on 7th April across the world. Each year a theme is selected that highlights a priority area of public health. The theme for 2015 was Food Safety. On the occasion of World Health Day, UWM organised an awareness session on theme of Food Safety, with the help of members of SNEHA for staff and student volunteers from Dr. Ambedkar College and Valia College. 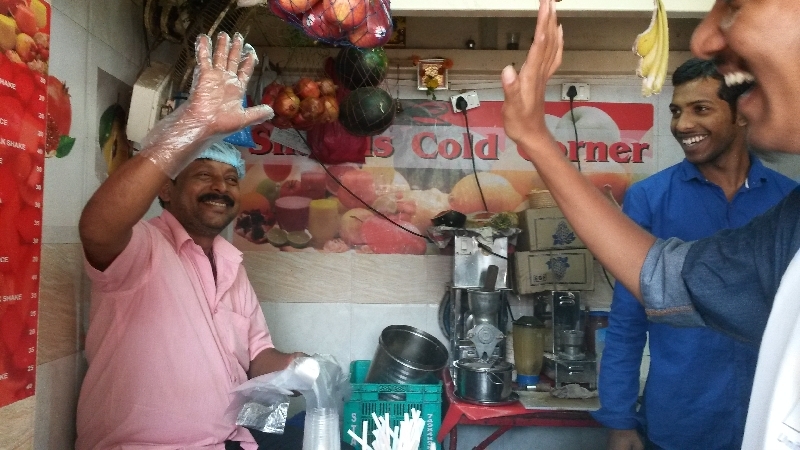 The student volunteers were sensitized and trained as health educators to further sensitize street food vendors and the consumers in Mumbai. Student health educators conducted the awareness drive at four locations - Khaugalli opposite to SNDT University, Churchgate, Khaugalli Opposite CST and Bora Bazaar Street and sensitized vendors / shopkeepers with regards to importance to food safety through one on one interaction, pamphlet distribution and distribution of kitchen safety gears. In all, 70 vendors and 250 consumers were educated about food safety.